In this Wednesday, Jan. 22, 2014, file photo, Yahoo CEO Marissa Mayer smiles during a session at the World Economic Forum in Davos, Switzerland. Mayer posted on Tumblr, Monday, Aug. 31, 2015, that she's pregnant with twin girls, due in December. "I have some exciting news to share - I'm pregnant!" she says on her Tumblr posting Monday night. She says that she will take some limited time away but work during the pregnancy as she did with her son's birth three years ago. 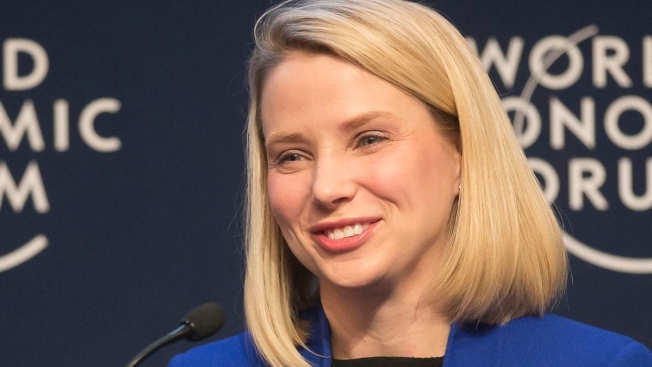 Mayer says that she's informed Yahoo executives of her pregnancy.